“Disney’s Halloween,” will take place at Tokyo Disneyland and Tokyo DisneySea Parks from September 8 through October 31, 2017. During this special event period, Guests can also enjoy the Halloween atmosphere at the Disney Hotels and on the Disney Resort Line. 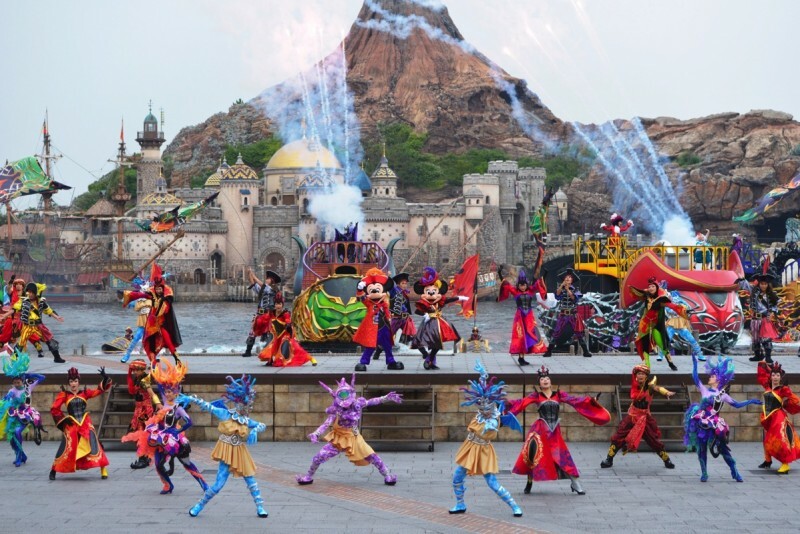 This Disney-style Halloween event will provide families and friends even more enjoyment and fun at Tokyo Disney Resort. wear new costumes. Also, an MC will appear for the first time to take the excitement to a higher level. 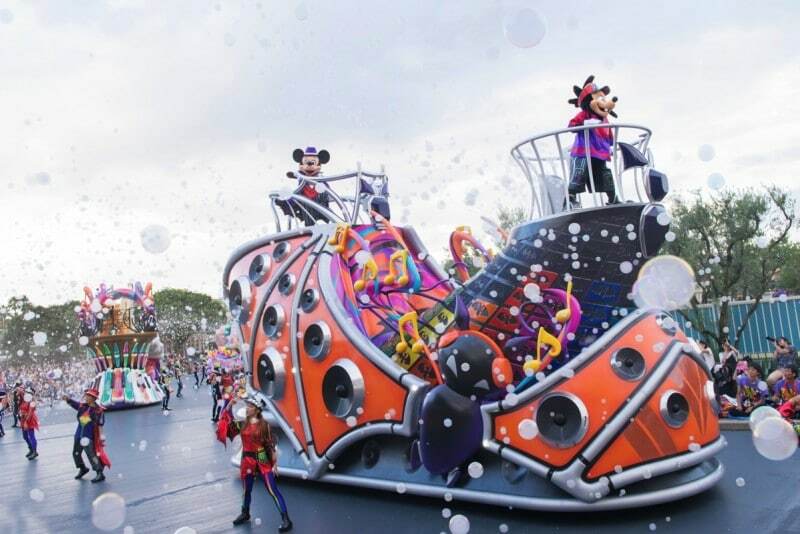 To increase the sense of being a part of the festival, the Park will offer special merchandise such as a “music festival” towel that Guests can wave together with the Disney Friends, the dancers and other Cast Members. And enhancing the sensation will be special food items that are easy to enjoy while walking around the Park. In addition to the photo locations of the Disney Friends performing for the music festival, jack-o’-lanterns, ghosts and other Halloween decorations around the Park will create a special ambiance that can only be experienced at Tokyo Disneyland. 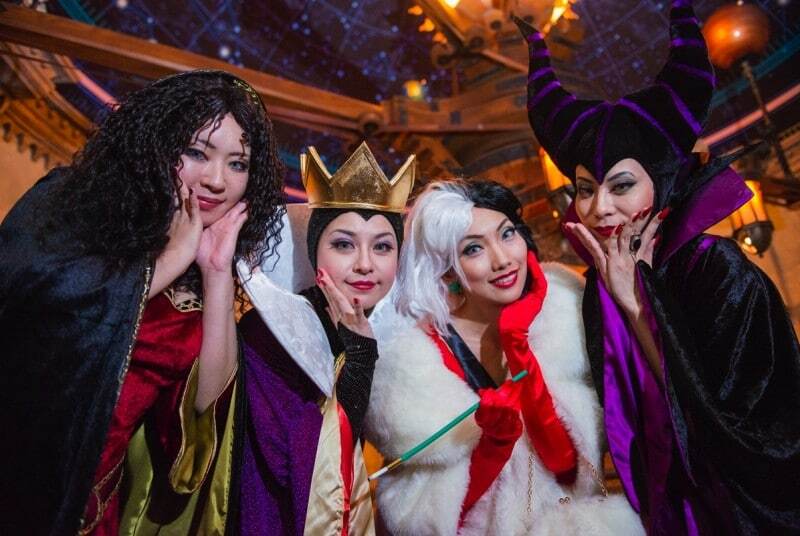 Tokyo DisneySea Park will present a cool, but eerie Halloween event themed to the Disney Villains**. The Park will be transformed with an eerie atmosphere as the Disney Villains, together with Mickey Mouse and his Disney friends, host a cool Halloween party. Presented at Mediterranean Harbor will be “The Villains World.” In this show, the Disney Villains take the leading roles and they put on their best performances to attract and impress the Disney Friends and Guests. Dressed in costumes inspired by the Disney Villains, Mickey Mouse, his friends and all the Guests join the party and raise the level of Halloween excitement. In the grand finale, Maleficent releases her magical powers at the greatest level ever for an impressive conclusion to the party. Guests will find new special merchandise and special menu items themed to the Disney Villains. And decorations in certain areas of the Park with feature the Disney Villains to create a cool, but eerie atmosphere well-suited to Halloween at Tokyo DisneySea. Back again this year with brand new music, the “Halloween Pop’n LIVE” parade is themed to a music festival and will run twice daily. The Disney Friends invite all the Guests to join in the excitement as a wide variety of music performances are presented in a Halloween atmosphere. Wearing new costumes, the Disney Friends together with the ghosts and skeletons who are entertainment “stars” have come to give Guests a fun time in the spooky Halloween atmosphere of the parade route. Goofy, the parade’s promoter, enters at the head of the parade, while the Disney Friends, dressed up as jack-o’-lanterns, witches and other Halloween characters, follow with the “stars” of Halloween. They all show off their dancing and other musical performances. The parade stops in seven locations and the floats each present a different genre of music, including club, pop, jazz, rock and Latin, for a unique Halloween-style performance. Some floats will feature an MC raising the level of excitement even more. Guests can join in dancing and clapping to the cheerful rhythms as the music festival reaches its high point. Guests are sure to have a fun time together with the Disney Friends. Spectacular fireworks will go up at both Tokyo Disneyland and Tokyo DisneySea, to music inspired by Halloween. This will be the 20th year that “Disney’s Halloween” has been held, and for the first time both Parks will allow Guests of all ages to dress up as Disney Characters on any day during the special event period. Guests will be able to immerse themselves in the world of Disney even more as they get into the Halloween spirit by dressing up with simple character touches or going all the way with full character costumes. For the safety of everyone concerned, Guests in costume may not be allowed to ride some attractions. The restaurants and lounges at the three Disney Hotels will offer special menus tied in with the special event “Disney’s Halloween” at the Parks. At the Disney Ambassador Hotel and the Tokyo Disneyland Hotel, Guests will be able to partake of dishes inspired by the Halloween Music Festival at Tokyo Disneyland that let them enjoy the flavors of autumn. And the Tokyo DisneySea Hotel MiraCosta will offer dishes inspired by the Disney Villains’ “cool, but eerie Halloween” at Tokyo DisneySea. Limited-period day passes for the Disney Resort Line monorails will be available in two different designs featuring “Disney’s Halloween” at Tokyo Disneyland and Tokyo DisneySea. All four Disney Resort Line stations will be decorated with Halloween motifs to welcome Guests.